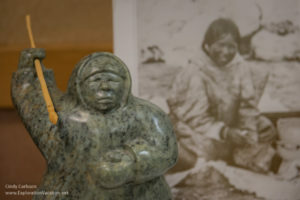 Our annual meetings feature native Inuit artists from Canada, knowledgeable speakers about Inuit art and culture, field trips to private collections, a museum or other relevant points of interest, and always ample time to meet other Inuit art enthusiasts. We are working to put together an exciting program for our 2018 annual meeting, which will be held at the the Dennos Museum in Traverse City, Michigan, on October 19-21. Look for more information on our home page. The 2018 Inuit Art Society Meeting looked at how traditional Inuit art has been, and continues to be, transformed as artists use new forms and techniques. 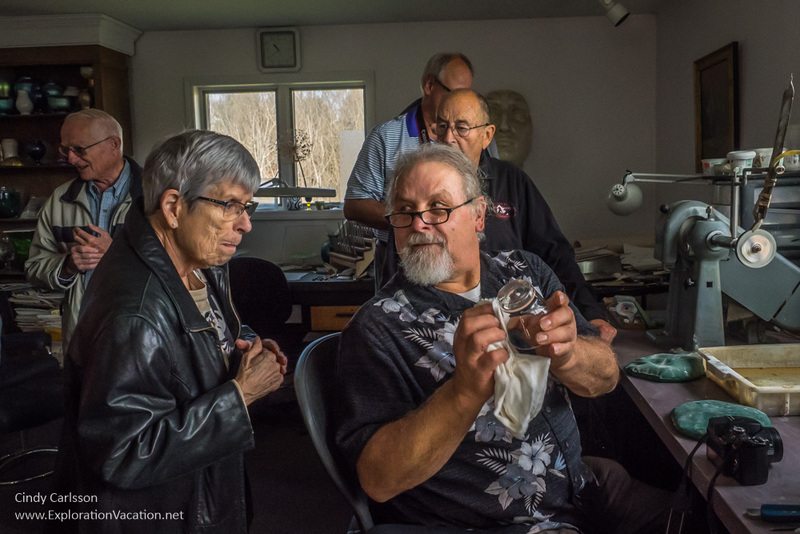 The 2016 Annual Meeting took a closer look at Inuit ceramics with guest artist Pierre Aupilardjuk and WAG curator Darlene Coward Wight. In addition, Aaju Peter provided a fascinating look at the Inuit tattooing and the intersection of Canadian and Inuit Law. With the theme “Off The Island: The art of the Kivalliq region and of Greenlandic artist Jonas Faber,” the meeting focused on the art of the communities along the western edge of Hudson’s Bay and the work of Faber. The world of Inuit art is changing. The elders are largely gone. Now what? Younger carvers seem to be focusing on “what sells” to mass audiences, yet beautiful, original, quality pieces are still being produced. This year’s annual conference takes a hard look at what this means to you, the collector. Held at the Crowne Plaza Hotel, October 27-30, 2011. Held at the Cranbrook Institute of Science, October 8-10, 2010. Two meetings were held in 2005. The first was held in May at Grand Valley State University in Allendale, Michigan. Nearly 50 participants attended.